EZ GO golf cart parts can be found easily on line or of course from your local authorized EZ GO golf cart dealer. What Year is My EZ Go Golf Cart? Golf cart solenoids to shocks all eventually need replacing. To order the right part you will need to know the make, model and year of your EZ Go golf cart. 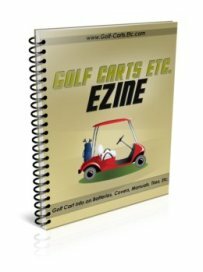 For EZ Go golf carts 1994 and newer the serial and manufacturer numbers can be found in the glove box area or the dash compartment on the passenger's side of the golf cart. The plate will contain the 6 or 7 serial number. The manufacturer's number will provide information on the year of the golf cart, but the serial number does not. Usually the last two numbers of the manufacturer number reflects the year your golf cart was made. An EZ Go Repair Manual can certainly be useful in not only providing instructions on repairing, maintaining or upgrading your golf cart, but will list exactly what EZ Go parts are needed. The initial investment can be recouped in your first repair. You need to buy the repair manual that is specific to your year and model EZ Go golf cart. Amazon carries a complete selection of golf cart repair manuals. 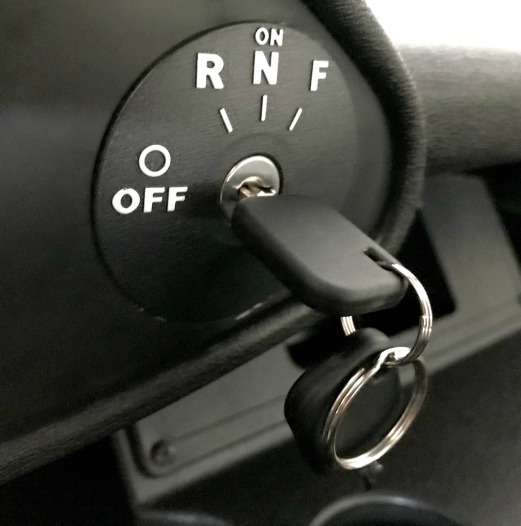 Did you know that most golf carts use a universal key that can fit and be used in other golf carts of the same make - making it easy for someone to steal your cart? That's why it's important to install a unique switch and key so that only your key can be used for your golf cart. It's about a 10" install that's well worth the peace of mind. Your golf cart has rear and front shock absorbers that when new or in good condition give you a smooth and less bouncy ride. It's an EZ Go golf cart part that may eventually need to be replaced. These parts are sold as a pair. 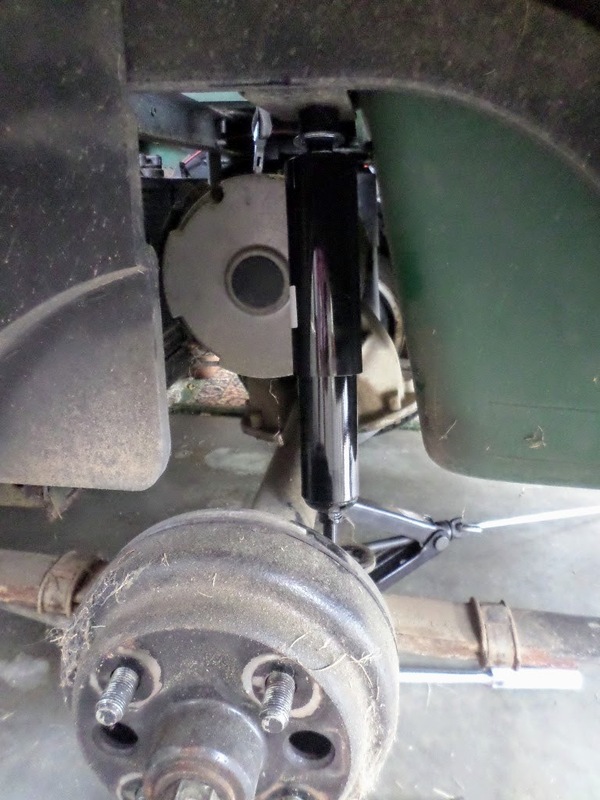 You may only need to replace the rear shock absorbers and not the front. These EZ GO golf cart parts are specific to your golf cart make, model and year. If you want to upgrade and increase the speed of your golf cart, change out the motor. Get your cart going up to 20 mph. This electric golf cart motor is for EZGO 1988 & UP series cars. What's great about owning a golf cart is that the body parts can be easily replaced - whether it's a front cowl or a new seat. Perhaps you need to replace a part that's broken or worn, not only is it easy to order the needed part, you can replace that part yourself. 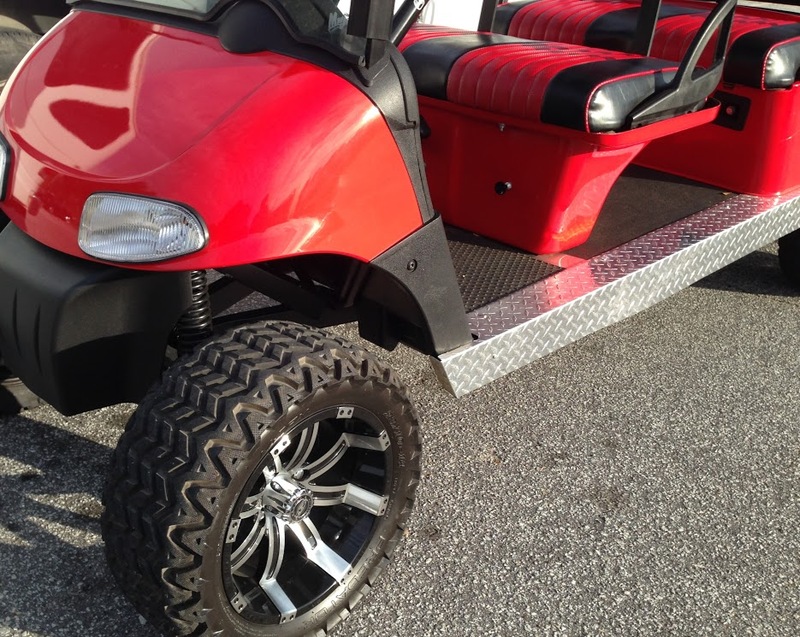 Or maybe you are looking for ideas to customize your golf cart. 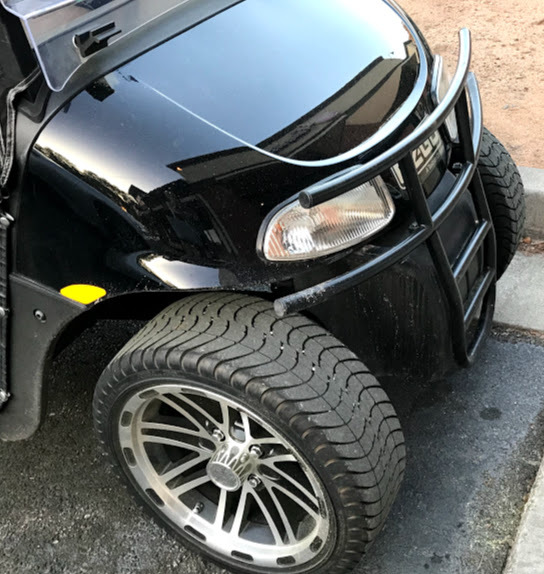 You can turn your common golf cart into a custom golf cart with custom golf cart body parts like custom golf cart wheels, fender flares, or diamond plate panels. A new dash with a glove box that locks and a custom golf cart steering wheel are on my list - not the "need" list, the "I want list." 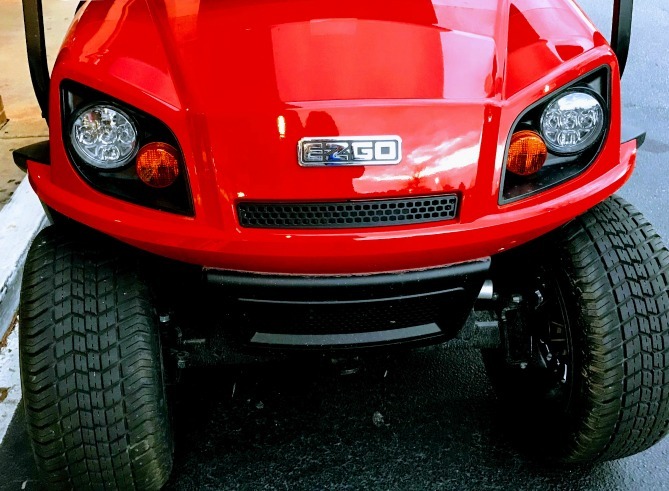 The new EZ Go golf cart windshields conform to the front cowl so that wind and air don't come blowing in on cold days. 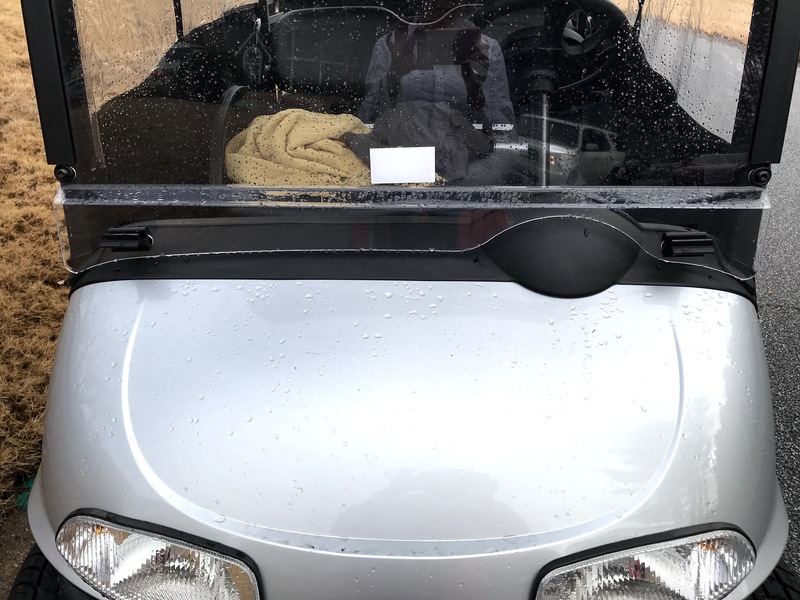 You will find that you can get a golf cart windshield that is tinted or clear, fold down or one piece, or a short one for carts without a top. 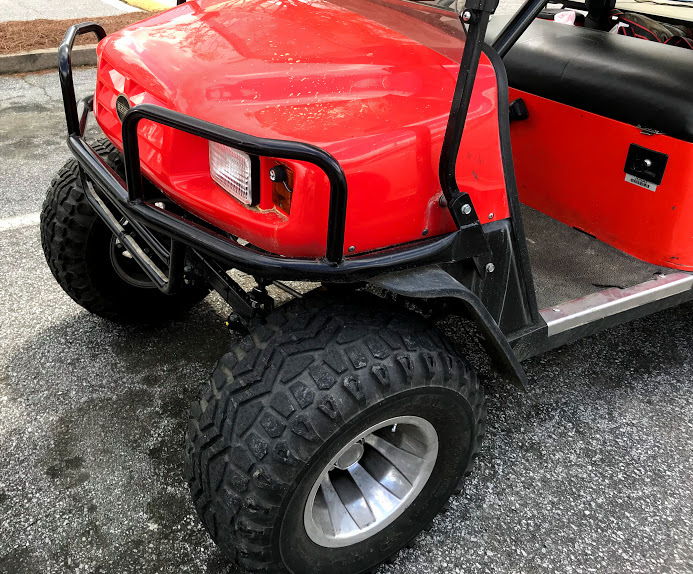 Golf cart accessories include fun stuff like golf cart fender flares, custom wheels and tires, radios, enclosures, storage nets, or heaters and fans. Radios can be installed in the golf cart dash board or onto the golf cart top. Keep comfortable with a heater that runs either by butane or using the golf cart batteries. My favorite golf cart accessory is a golf cart enclosure. For chilly early morning tee times (thanks to my early bird golfing buddy, Peter) or for cold, rainy days on the golf cart paths, the enclosure really helps to keep us warm and dry. For whatever reason you have for needing EZ Go golf cart parts, you can keep your golf cart running smooth or looking really cool by getting just the parts you need.